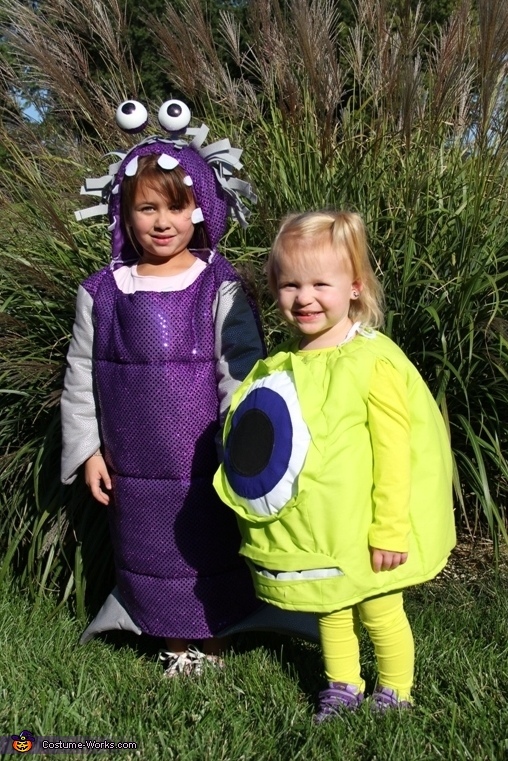 I made the Monsters Inc costumes for my granddaughters. The oldest one looks like the character Boo so her mom chose these characters for Halloween. I made the Mike Wizouski costume for under $10 starting with a Baseball costume pattern. I had to get a little more creative with it as I put it together. I bought the pants and shirt from Walmart for under $10. The Boo costume was around $25 due to the type of fabric used. I didn't have a pattern for any of it so I had to figure it out in my sleep. They may not be perfect but the kids and mom love them. That's all that matters.